For single-hole installation or 4-inch centres with escutcheon (escutcheon plate included). WaterSense(R)-labeled faucets use at least 30 percent less water than standard 2.2-gpm faucets while still meeting strict performance guidelines. The Bol ceramic faucet lends artistic distinction to your bathroom or powder room with its beautiful design. Inspired by an antique apothecary mortar and pestle, this ceramic faucet features a fluid shape and quiet operation that showcases the soothing sound of flowing water. Flexible supplies and a preassembled single handle speed installation. Alteo(R) single-handle bathroom sink faucet With sleek, confident curves inspired by nature, the Alteo faucet collection exudes a self-assured simplicity. Designed to deliver exceptional quality at an approachable price, the Alteo collection features fluid design lines that complement a wide range of decor. 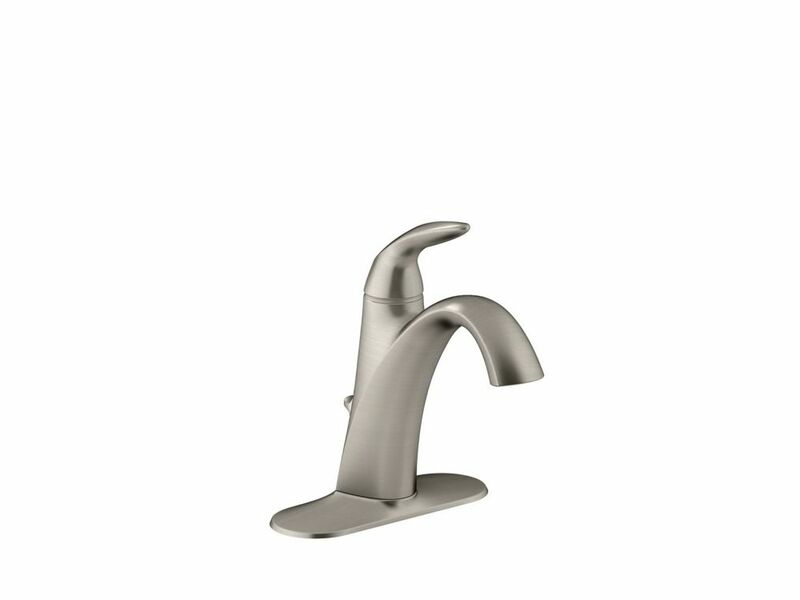 Alteo(R) single-handle bathroom sink faucet is rated 4.5 out of 5 by 15. Rated 5 out of 5 by Lyn from Very good quality for the price and looks great. Had it professionally installed. Happy with my p... Very good quality for the price and looks great. Had it professionally installed. Happy with my purchase. Recommended! Rated 5 out of 5 by Leonard132 from Looks great, easy to install, no leaks so far.... Looks great, easy to install, no leaks so far. Rated 5 out of 5 by Greg from Thus far I'm pleased. Quality under sink fittings. Concise instructions.... Thus far I'm pleased. Quality under sink fittings. Concise instructions. It's appearance is somewhat more kitcheny than I anticipated but is as represented. Rated 5 out of 5 by Toni from I love it!... I love it! Rated 5 out of 5 by DoubleR95630 from I have not installed product yet. I previously ordered/installed two of the same model faucets in... I have not installed product yet. I previously ordered/installed two of the same model faucets in my other bathroom. Liked so much I ordered two more for my current bathroom remodel. This model is only available at Home Depot, via online. This same model is available at a local plumbing store for more money, so a great value at Home Depot!